On July 11, 2016, the Office for Civil Rights (“OCR”) published guidelines for ransomware attack prevention and recovery, including the role HIPAA has in assisting covered entities and business associates prevent and recover from such attacks, and how HIPAA breach notification processes should be managed in response to a ransomware attack. According to the OCR report, there have been 4,000 daily ransomware attacks since early 2016, up 300% from 2015. Earlier this week a healthcare IT Security Consultant told me the chatter he hears is the hackers are working on stronger, more aggressive, more deadly hacks to unleash, and he fears a hacking storm a brewin’. Time to get serious and batten down the hatches, folks! Ransomware gets into your system, denies you access to your data (usually through encryption), and then directs you to pay a ransom to the hacker in order to receive a decryption key. For this reason, maintaining frequent backups and ensuring the ability to recover data from backups is crucial to surviving a ransomware attack. HIPAA compliance helps protect entities because the Security Rule requires covered entities and business associates to implement a data backup plan as part of an overall contingency plan, which includes periodic testing of the plan to be sure it works. The presence of ransomware – or any malware – is considered a security incident and triggers the need to initiate security incident response and reporting procedures. Based upon an analysis of the investigation results, breach notification may be required. Additionally, if there is an impermissible disclosure of protected health information (“PHI”) in violation of the privacy rule, there is a presumed breach which may trigger notification. Whether or not the presence of ransomware would be a breach under HIPAA Rules is thus fact specific. However, unless the entity demonstrates there is a “…low probability that the PHI has been compromised,” a breach of PHI is presumed to have occurred and the entity must comply with the applicable breach notification provisions. In the wake of Wendy’s announcement of a data breach in its point-of-sale system, Noodles & Company recently announced that it too was a victim of a cyber-attack, which may have resulted in access to thousands of customers’ debit and credit card data. Noodles & Company’s June 28, 2016 press release identifies restaurant locations in 27 states and Washington DC in which data security may have been breached. Noodles & Company states that it is “moving forward on a number of fronts” in response to the data breach, including working with third-party forensic investigators, operating with the United States Secret Service, and providing guidance to guests who may have been affected. In a subsequent press release, Noodles & Company asserts that it “contained the incident once the malware was identified and credit and debit cards used at the affected locations identified are no longer at risk from the malware involved in [the] incident.” Nonetheless, it will not be a surprise if Noodles & Company suffers the same fate as Wendy’s: defending a federal consumer class-action lawsuit. We will continue to monitor and report on this story as it develops. During the holiday season, stores throughout the United States process millions of credit card transactions per day. Although this flurry of sales activity is good for business, it also comes with a potential risk of liability if the credit cards used in those transactions are equipped with the chip-card technology that the merchants’ payment processing machines are not capable of handling. During the past year, credit card issuers have been transitioning to the Europay, Mastercard, Visa (“EMV”) chip cards, which contain smart microprocessor chip technology. Using the chip reader in the credit card payment terminal, the chip serves as the communication conduit between the card issuer and the merchant’s bank to authenticate the card and complete the sales transaction. Unlike magnetic stripe credit cards, chip cards generate a unique transaction code that cannot be reused. This “dynamic” data technology helps to guard against credit card fraud arising out of data or security breaches where the credit card information is compromised. For some chip cards, the users may also be required to enter a PIN. This new chip card technology requires new payment processing terminals that many merchants have not yet implemented. Although the card issuers themselves have not completed their issuance of EMV chip cards to replace existing magnetic stripe cards, the issuers imposed an October 2015 deadline on merchants and card payment processors to become EMV-ready. After October 2015, under the modified terms of their agreements with the credit card payment processors or networks (e.g., VISA, MasterCard, American Express, Discover), merchants who accept credit cards and who are not EMV-ready may be liable for any fraudulent transactions and possibly fined and/or sanctioned by the Payment Card Industry Security Standards Council, an industry organization that promulgates data and cybersecurity standards for the credit card sector. Liability will be shifted to the party who used the lower level of security and compliance with the EMV standards. This means that, for example, a merchant may be assigned liability for the fraudulent transaction if the purchase was made with a chip card but the merchant was not capable of processing the chip card payment, using instead the magnetic stripe method. Conversely, the card issuer may be assigned liability if the merchant was EMV-capable but the card issuer has not issued a chip card to the consumer. Notably, the EMV standards do not apply to purchases where the cards are not physically presented, including online and telephone transactions. 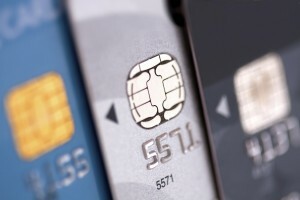 Although they impose increased liability and breed disputes between potentially liable parties, EMV chip cards and their attendant standards and rules are intended to provide more consumer protection and create an incentive for merchants, card issuers, and payment processors alike to conform with best practices in an ever-evolving world of data and cybersecurity challenges. The Third Circuit rejected Wyndham’s due process, lack of notice of standard of care argument, holding that Wyndham was not entitled to know with ascertainable certainty the FTC’s interpretation of what cyber security practices are required by § 45(a) – to know what practices are required by the standard of care. The Court explained that Wyndham had adequate notice of the standard of care because § 45(n) of the Act defines it using usual tort cost-benefit analysis. See United States v. Carroll Towing Co., 159 F.2d 169, 173 (2d Cir.1947). Nothing more is required to satisfy due process concerns in this context.